On balance, it would be beneficial to the United States to waive the job offer and labor certification requirements. As you already know, the United States offers many opportunities in the physical sciences. As a chemist, you might find a career working in the medical field to help develop new life-saving treatments, or helping a technology company perfect its manufacturing process. As a physicist, you might work as a nuclear engineer for the U.S. Air Force, or a top researcher at a company like IBM. An environmental scientist, meanwhile, might find employment as a consultant in oil & gas or a meteorologist working on groundbreaking research. Whether you have recently acquired your PhD in the physical sciences or are still working towards it, you may have already determined that remaining in the United States is the best option for your future. Perhaps the only roadblock you need to surmount is the NIW approval process. 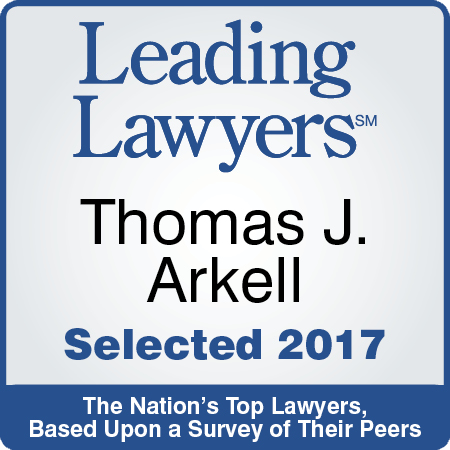 Thomas J. Arkell can help, as he has assisted many professionals in the physical sciences. Below, you will find details regarding a number of those applications. If you feel that your work or research in the physical sciences may warrant a NIW, feel free to reach out for a free consultation with Mr. Arkell (found at the bottom of this page). Organic synthetic chemistry focusing on natural product synthesis as it relates to medicinal and pharmaceutical chemistry. USCIS approved a NIW petition for a postdoctoral researcher working in the field of organic synthetic chemistry. Petitioner works in the field of organic synthetic chemistry, specifically in the area of natural product synthesis as it relates to medicinal and pharmaceutical chemistry. He is currently focusing his research on the total synthesis of natural products isolated from the green alga, Alvrain villea nigricans, important in the fight against breast cancer, prostate cancer, lung cancer, stomach cancer, as well as head and neck cancer. Petitioner was the first to thoroughly design and synthesize the molecule, Calcaridine A. The significance of this work is that the alkaloids previously isolated from the same family of sponge have been shown to have the anitbiotics, nitricoxide synthase inhibitors, and cytoxic activities. Petitioner also developed a number of synthetic methods for the total and rapid synthesis of 2-Aminoimidazole alkaloids in the Oroidin and Leucetta families. The implications of petitioner’s research are enormous since his research work could significantly and directly contribute to a reduction in number of cancer related deaths. Analytical chemistry, specifically in the area of pharmaceutical research and development. The USCIS approved an NIW petition for an Analytical Scientist working in research and development for a pharmaceutical company. The NIW petition focused on her work in the area of pharmaceutical research and development. She has expert knowledge of analytical instrumentation, including high performance liquid chromatography, gas chromatography, infra-red and UV-VIS spectrophotometry, and nuclear magnetic resonance. Her current research involves the development and validation of methods of analysis for the different active and inactive ingredients in the generic drugs. Her contributions led directly to the minimization of the cost of analysis as she implemented techniques that do not require a great amount of consumable materials and are performed efficiently. Her research and analysis of cancer drugs, specifically generic cancer drugs, have enabled underprivileged patients to afford low cost medicine. DNAzyme and aptamer selection as it applies to the biosensor field. USCIS approved a petition for a chemist who works in the field of inorganic chemistry research involving DNAzyme and aptamer selection and its application in the biosensor field. The NIW petition showed the importance of this research in developing reliable detection devices for uranium and other toxic materials, which can cause serious health problems and lead to cancer or kidney damage. Additionally, this chemist is also working with the U.S. Army Corps of Engineers to develop a DNA bio-sensor for RDX, an explosive which is widely used in the military. It also can affect human health and plant growth as it is left behind in water and soil. Synthesis and use of novel luminescent compounds. USCIS approved a petition for a chemistry researcher specializing in the synthesis and use of novel luminescent compounds. The beneficiary received a Ph.D. in inorganic chemistry and a Bachelor of Science degree in chemistry. Evidence submitted with the National Interest Waiver petition showed that fluorescent labeling is one of the central techniques in today’s biotechnology research. New fluorescent probes and labeling techniques are emerging rapidly. The advantages and potentials of lanthanide luminescent probes have been well recognized. These probes have been used in the studies of muscle protein movement, protein-DNA interactions and high throughput drug screening. The National Interest Waiver petition showed that the beneficiary’s research is breaking new ground in the design, synthesis and application of luminescent lanthanide probes. The National Interest petition also argued that the beneficiary’s continuous work as a chemistry researcher will benefit basic biotechnology research, which will advance health care in the United States; and, if commercialized, the beneficiary’s research will benefit the economic growth of the U.S., due to the development and discovery of better pharmaceutical drugs that will result from an advanced understanding of how cells work. The beneficiary filed an I-140 petition without the assistance of a lawyer, and the petition was denied. Dunn Law Firm was retained and attorney Thomas J. Arkell filed a Motion to Reopen and Reconsider. The beneficiary’s I-140 petition was approved in 56 days from the date the Motion to Reopen and Reconsider was filed. Chemical X-ray crystallography and structural elucidation of new chemicals and small molecule diffraction studies. USCIS approved a petition for an Associate Research Professor working in chemical X-ray crystallography and specifically in the area of structural elucidation of new chemicals and small molecule diffraction studies. The NIW petition recognized his expertise in the highly complex and sophisticated area of structural elucidation, which has advanced the understanding of compounds that show potential for anti-cancer activity, hydrogen storage, and removal of radioactive compounds from the environment. The beneficiary’s I-140 petition and I-485 Adjustment of Status applications were approved in 210 days. Chemistry and the related research areas of synthesis and characterization of new porphyrins and related compounds with organometallic substituents, and synthesis and characterization of aza-BODIPY, subphthalocyanine and phthalocyanine for photo-induced electron transfer process in molecular devices. The petitioner has been engaged in research in the area of supramolecular chemistry and material science. Despite broad skills and experience, his primary research interest is in Organic Materials Chemistry. Much of his research focuses on light harvesting materials for solar energy conversion, which are invaluable both nationally and globally. The NIW petition recognizes that the development of affordable, inexhaustible and clean solar energy technologies will have significant long-term benefits. It will increase countries’ energy security through reliance on an indigenous, inexhaustible and mostly import-independent resource, enhance sustainability, reduce pollution, lower the costs of mitigating climate change, and keep fossil fuel prices lower than otherwise. Furthermore, energy harvesting addresses the issue of climate change and global warming. One significant contribution that the petitioner has made to organic material chemistry is the design and synthesis of elegant artificial photosynthetic systems with long-lived charged separated state of radical ion pair. Elegantly designed donor-acceptor conjugates accelerate forward electron-transfer rate and slow down backward electron-transfer rate, resulting in the formation of long-lived charge-separated states which is a key feature for solar energy conversion. The harnessing of sunlight to energy/electricity using organic solar cells promotes one of the most promising alternatives to energy production by coal, oil and natural gas. The petitioner’s research based on organic material synthesis and characterization greatly aids in improving and expanding the use of our most abundant renewable energy source and will benefit the production of alternative energy sources. Organic chemistry used to advance anti-cancer and anti-aging drug research to better comprehend and treat chronic diseases associated with aging. USCIS approved a petition for a Postdoctoral Researcher working in the field of field of organic chemistry and specifically in the area of synthetic methodology development and total synthesis of biologically active natural products. The NIW petition recognized his scientific interest in research involving the relationship between the molecule synthesis of natural products and their potential to serve as lead compounds for therapeuticals that will advance human health. The beneficiary’s I-140 and I-485 Adjustment of Status petitions were approved in 115 days. The USCIS approved an NIW petition for a Postdoctoral Fellow working in a chemical biology research center. The petitioner’s research focuses on the development of potential Niemann Pick Type C (NPC) therapeutics. NPC Patients are not able to metabolize cholesterol and other lipids properly within the cell. She has played a crucial role in the synthesis of histones deacetylases inhibitors, which has led to improvements of NPC phenotype in cells. She is currently working on the synthesis of fluorescent probes of radical oxygen species for the development of a rapid susceptibility screening which will allow the prescription of the correct antibiotic the first time within 2 hours. Chemistry as it relates to semiconductor technology, specifically related to turning natural gas into a diamond in a highly controlled, reproducible process. Petition for researcher approved who’s developing a mechanical alternative for heart transplants; harnessing the superlative properties of nature’s perfect material (diamond) by turning natural gas into diamond in a highly controlled, reproducible process for a variety of industrial, electronic and medical applications, and a project to develop electrochemical techniques to purify water based upon conductive electrodes made from diamond. The beneficiary’s I-140 petition was approved in 110 days. Analytical chemistry, specifically in pseudouridine detection and characterization using mass spectrometry. USCIS approved a NIW petition for a postdoctoral scholar working in the field of analytical chemistry. Petitioner works in the field of analytical chemistry, specifically pseudouridine detection and characterization by mass spectrometry. She is an internationally known researcher in her specialty area ranging from lipid biology to the study of the human proteome and the impact of ribonucleic acid (RNA) modifications. Petitioner utilizes mass spectrometry to address biological issues of significance such as obesity, stroke and cancer. She is an expert in the use of bioimaging and SIMS imaging. She is one of only a handful of researchers in the world with the skills necessary for the mapping of lipids and using these methods have allowed her to target mutated modifications that are pathologically significant to the detection of disease. There is a great public demand for cures to heart disease, cancer and other diseases that destroy the quality and longevity of life for both Americans and individuals around the world. Petitioner is part of a research team which is trying to overcome these problems by targeting their source the human body and by providing safe and effective drugs for the treatment and cure of these illnesses. Physical radiation chemistry and the kinetics of association reactions in high pressure and high temperature water. The USCIS approved a National Interest Waiver petition for a research assistant professor working in the field of physical radiation chemistry, specifically related to the kinetics of important association reactions in high pressure and high temperature water. Petitioner’s use of complex pulse radiolysis techniques in his experimentation with UV detection produced a large quantity of kinetic data critical to modeling chemical processes in the next generation of nuclear reactor cooling systems. His work is answering the need for environmentally safe energy resources and the conservation of natural resources with the development of modern nuclear reactors which are replacing carbon emitting coal reactors. This petitioner is also internationally known for his scientific discoveries in understanding the radiation driven processes in polymer solutions leading to the formation of thermosensitive polymeric materials, also known as smart hydrogels. Petitioner’s background in the radiation chemistry of macromolecules included researching new materials for modern photoresist for extreme UV photolithography. His research will help determine the size of modern microchips in future electronic devises. Cell migration as it relates to the treatment of diseases. USCIS approved a petition for a chemistry researcher. The researcher is a materials science and nanotechnology scientist specializing in biomimic materials and biosensors. The electronics industry’s requirements for faster computer processors and smaller computers have driven researchers to search for new technologies. National Interest evidence showed that one such project that the beneficiary is studying, the quantum cellular automata (QCA) project, had great potential to improve the U.S. economy through miniaturization of computer chips and enhancement of computation power. The National Interest Waiver petition also showed that the beneficiary’s research in cell migration and cell adhesion could significantly improve public health care. National interest evidence included documents showing that the beneficiary’s research on artificial biomimic anisotropic gradient materials can provide an excellent template for cell migration and cell adhesion study, and will have enormous impact on public health care. The beneficiary’s I-140 petition was approved in 153 days. Chemistry, specifically peptide synthesis related to designing and synthesizing glucagon-like peptide-1 analogs with modifications aimed to improve enzyme stability and enhance biological activity. Designing and synthesizing glucagon-like peptide-1 analogs with modifications aimed to improve enzyme stability and enhance biological activity. Petitioner’s research is focused on peptide synthesis related to the creation of peptides with resistance to the digestion of proteins by cellular enzymes or intermolecular digestion, specific to targeted organs. The development of novel immune agonists for vaccines is of primary interest to many groups in the United States, as well as elsewhere around the world, due to their potential application as drug therapies for diabetes and cancer patients. The development of compounds capable of targeting cancer cells must be specific so that healthy cells are not mistakenly attacked and at the same time remain stable and not go through degradation before they reach their target organs. The peptides that the petitioner designed contain both of these special characteristics, specifically their ability to target insulin producing cells in the pancreas, making them an ideal delivery vehicle to pancreas tumors. These peptides have the potential for many other applications in medicinal chemistry for the improvement of diagnoses and successful drug therapies for multiple diseases. Has been engaged in research in the area of supramolecular chemistry. USCIS approved a petition for a Research Scientist / Chemist whose research focuses on the advancement and development in the area of metal-organic supramolecular architectures. Findings from this chemist’s research have revealed several avenues to the new era of nontoxic, side effects free nanomedicines. The research is improving not only the cancer therapy and treatments, but also the diabetic treatments. Has been engaged in research in the area of organic chemistry. USCIS approved a petition for a Postdoctoral Research Scholar whose research includes working on a project based on the development of novel methods for the synthesis and functionalization of azaborines and cross coupling reactions. This work is vital to medicinal chemists because the incorporation of boron into small molecules has seen a substantial increase with regard to applications to medicinal chemistry and chemical biology. USCIS approved a petition for a Postdoctoral Research Associate who has played a crucial role in inter-disciplinary research projects focusing on synthetic organic chemistry and antibiotic drug discovery research. Research in the field and the development of new antibacterial drugs is absolutely critical to public health. Research is focused on azide and solution phase peptide synthesis. USCIS approved a petition for a Postdoctoral Research Fellow who single-handedly determined effectiveness of the new reagent in introduction of the azide functional group in a variety of chemical targets. This fellow’s research is extremely important and prevalent, as it will benefit the U.S. economy and improves health care by providing new age treatments. Better electronics manufacturing and design. A deeper understanding of black holes. Quantum computing techniques that allow for better code breaking, encryption, and processing. These are just a few accomplishments of the physicists Thomas J. Arkell helped through the NIW process. USCIS approved a National Interest Waiver petition for a condensed matter physics researcher. The researcher has a Ph.D. in Solid State Physics and an M.S. in Engineering Physics. The beneficiary’s research in the field of condensed matter physics, specifically in the areas of the theory of quantum dots, the study of electronic properties of semiconductor nanostructures with an emphasis on spintronics, quantum computation and quantum information have important applications in the electronics industry, especially the high-tech supercomputing sector. The evidence submitted provided two major practical applications. One practical application of the beneficiary’s work is that it significantly enhances military efforts of the United States in its efforts to develop advanced code breaking and encryption systems through programs at DARPA (Defense Advanced Research Projects Agency). Another application is quantum computation which significantly speeds up all processing functions that are currently available to classical computers such as materials for space exploration and defense applications as well as information technology. Quantum optics, medical diagnostics and imaging. USCIS approved a petition for a quantum physics researcher. The researcher is a quantum physics scientist specializing in quantum optics, specifically lasing without inversion, electromagnetically induced transparency and bio-optical imaging. The researcher works in the field of quantum optics, specifically in the areas of lasing without inversion, electromagnetically induced transparency and bio-optical imaging. Evidence provided by our office in the National Interest petition proved that the beneficiary’s work in the area of light scattering in tissue-like media has important applications in medical diagnostics and imaging. The beneficiary’s I-140 petition was approved in 41 days. Physics pertaining to condensed matter research in the field of resonant soft x-ray scattering as it relates to layered complex oxides. USCIS approved a petition for a Research Scientist investigating the highly complex and sophisticated field of condensed-matter physics and specifically in the area of oxide superlattices. This research is in the field of condensed matter and, in particular, experimental work in the field of resonant soft x-ray scattering as it relates to layered complex oxides. This researcher is an expert in a new technique called “resonant soft x-ray scattering” (RSXS). The scientist’s key contributions to the field of soft x-ray scattering are the observation of electronic reconstruction in manganite superlattices and the measurement of layer-resolved charge distribution in cuprate superlattices. This achievement will allow the fabrication of structures with greater perfection than is otherwise possible and these advances have the potential to benefit the U.S. economy by improving the operation of actual and potential devices made by the microelectronics or energy industries. The beneficiary’s I-140 petition was approved in 62 days. Astronomy and physics, specifically in the area of dynamical evolution of dense stellar systems containing black holes. USCIS approved a NIW petition for a postdoctoral associate engaged in research in the area of astrophysics. His numerous research accomplishments have included modeling two globular clusters in great detail. Due to this accomplishment, he was able to derive important constraints on the presence of potential Intermediate-mass Black Holes, the missing links between stellar, mass and supermassive black holes in the centers of these clusters. The beneficiary’s I-140 petition was approved in 22 days. Low Energy Electron Microscopy (LEEM) related to the growth and characterization of thin metallic films with applications in superconducting electronics. 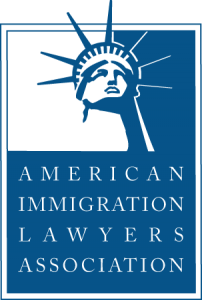 USCIS approved a petition for a physics researcher who works in the field of material physics research involving the use of ultra-high vacuums and a special instrument called the low energy electron microscope (LEEM). The impact of this research will undoubtedly be profound throughout the United States and the world. The NIW petition shows that this research is important for understanding irradiation damage of materials, a crucial effect in space programs, accelerators and nuclear physics. This research has and will continue to have a significant national impact, contributing to the leadership of the U.S. in the semiconductor industry and advancing our country’s space program. Thomas J. Arkell has successfully aided NIW petitioners in the environmental sciences who have been responsible for furthering research in the areas of better volcanic eruption forecasting, more accurate weather reports for coastal transportation, improved crop production, and new energy harvesting techniques. Environmental science related to water quality and pollution. USCIS approved a petition for a Postdoctoral Research Associate working in the field of environmental science focusing on the research of water quality and pollution by studying nitrogen biogeochemistry in agricultural landscapes, focusing on denitrification and spatial patterns. The NIW petition recognized his scientific interest in research for improving water quality increasing nutrient cycling, and reducing greenhouse gas emission. The beneficiary’s I-140 petition was approved in 47 days. Geophysics related to volcano-seismology which helps improve understanding of active volcanic processes and eruption forecasting which saves lives and mitigates the effects of volcanic hazards. USCIS approved a petition for a Research Professional studying volcano-seismology. This researcher developed the first, fully web-based seismic monitoring system for volcanoes. His research in the field of quantitative seismology is focused on enhancing real-time monitoring capabilities resulting in real-time catalogs, swarm alarm systems and improved tremor alarm systems. The infrastructure and procedural improvements as well as technical innovations in volcano seismic monitoring contribute substantially to public safety and the economy in the United States and globally. The research improves the understanding of active volcanic processes and eruption forecasting which increases saving of lives and mitigating the effects of volcanic hazards. The beneficiary’s I-140 petition was approved in 43 days. Geophysics related to tracking volcanic ash clouds during a volcanic eruption. USCIS approved a petition for an Assistant Research Professor researching operational predictions during a volcanic crisis and maintenance of the online web-based version of the Puff model. This professor has been solely responsible for the Puff model developments. The Puff model is used worldwide and is the international standard in tracking volcanic ash. Under a volcanic crisis, the predictions made by the Puff model allow the decision-making authorities at the National Weather Service to provide a quick assessment of the ash clouds future location. Then a volcanic ash advisory can be released. The beneficiary’s I-140 petition was approved in 183 days. Geochemistry as it relates to the development of innovative analytical protocols for isotope and elemental abundance measurements allowing government and law-makers to better regulate industries with regards to pollution control standards. USCIS approved a petition for an Associate Research Professor who is researching and developing innovative measurement techniques involving the use of state-of-the-art laser ablation-ICP-MS instrumentation that permits isotope measurements within individual minerals at high spatial resolution. The achievement in environmental-related studies allows government and law-makers to better regulate industries with regards to pollution control standards. This work is of vital fundamental interest because it can be used to further assess the possible link between the heavy metal contents in children’s teeth and incidence of childhood diseases such as autism, which was recognized by collaborative research investigation with pediatricians. The beneficiary’s I-140 petition was approved in 183 days. Permafrost science in the field of cold climate hydrology as it relates to coastal transportation and safety. USCIS approved a petition for this assistant research professor in the field of cold climate hydrology and specifically in the area of permafrost science which studies how climate change affects cold region hydrology. The results of the research gathered at the new real-time weather stations will report weather conditions in regions where no other data is available. This data is a crucial component in coastal transportation and safety. In the event of an emergency, such as a clean-up or rescue situation, rescue teams need accurate real-time data. The beneficiary’s I-140 petition was approved in 119 days. Geophysical sciences related to the correction of ionospheric and tropospheric effects in radar signals for the application of radar data toward tracking of moving objects. Correction of ionospheric and tropospheric effects in radar signals for the application of radar data towards tracking of moving objects. This work is of great interest for scientific, military, security, and search-and-rescue operations. Correction of ionospheric effects on radar data is essential for highly accurate mm-scale measurement of surface deformations associated with geohazards such as volcanoes, earthquakes, landslides, land subsidence and disruption of built infrastructure using spaceborne radar. The beneficiary’s I-140 petition was approved in 127 days. Geophysics related to the development and numerical implementation of geophysical models. USCIS approved an NIW petition for a researcher working in the highly complex and sophisticated fields of geophysics, cold land regions studies and numerical tsunami modeling. The petitioner created the most detailed maps to date of permafrost distribution on most of the Arctic shelves which are relevant to potential gas hydrate locations and the feasibility of future extraction by oil and gas companies. In addition to modeling submarine permafrost in the Arctic, the petitioner has simulated the permafrost, ground temperatures and ground thermal properties which have practical importance to predicting geo-technical conditions at Alaska oil and gas exploration sites. Entomology as it relates to solving agricultural and crop production problems. USCIS approved a National Interest Waiver petition for a research scientist working in the field of entomology as it relates to solving agricultural and crop production problems, in order to boost agricultural productivity to maximum sustainable levels to keep pace with the growing needs of our world’s rapidly expanding population. The NIW petition recognized petitioner’s work investigating the genetic variation and gene flow of the fall armyworm. The findings are important in understanding the dispersal of the pest, monitoring the spread of insecticide, resistance monitoring against transgenic crops, and implementing area-wide management programs. The study on susceptibility of fall armyworm to insecticides showed that rotational and combined application of insecticides helped to delay insecticide resistance development and prolong life span of the products as well as to reduce insecticide load into the environment. Created novel materials and methods for solar energy harvesting and photocatalysis. USCIS approved a petition for a Postdoctoral Research Associate who played a crucial role in inter-related research projects focusing on the development of effective methods for the synthesis and analysis of complex carbohydrates. The research directly influences biomedical vaccine and therapeutics industry, and improves patient’s overall survival and quality of life. Has been engaged in research in the area of light scattering by atmospheric ice crystals. USCIS approved a petition for a Research Scientist whose work on light scattering by atmospheric ice crystals with realistic shapes has transformed our knowledge of radiative properties of clouds, which is important for better understanding of governing factors of the Earth’s climate system. His research into ice cloud microphysical and optical properties is critical to the global climate change issues. Research has been focused on different aspects of renewable energy. USCIS approved a petition for a Research Scientist who is one of the lead authors of the groundbreaking research regarding solar hydrogen production in homogeneous system utilizing solely first row transition metal elements. His work is vital because it is used to investigate the mechanism of drug action and how it relates to the diagnosis and therapy of diseases.